Product prices and availability are accurate as of 2019-04-06 19:26:37 EDT and are subject to change. Any price and availability information displayed on http://www.amazon.com/ at the time of purchase will apply to the purchase of this product. 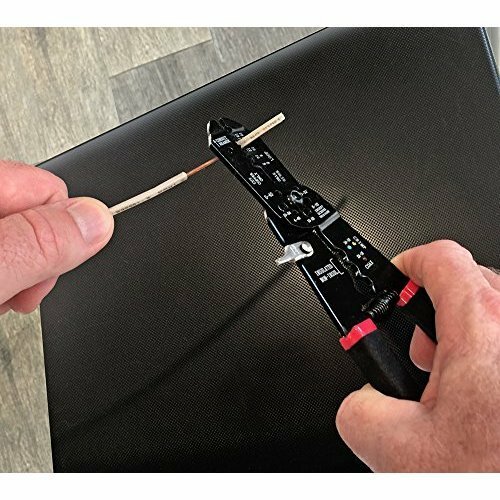 WIRE STRIPPING TOOL SPLICERS EASILY STRIPS AND CUTS - Perfect For Stripping Electric Solid Wire Gauge Sizes - 6,8,10,12,14,16 awg or Stranded Wire Gauge sizes - 8,10,12,14,16,18. 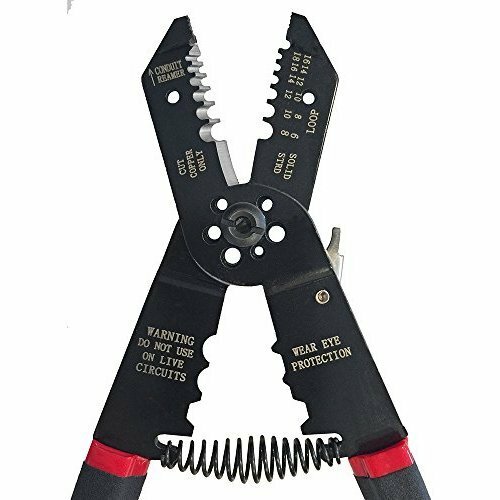 POWERFUL SHEARS WITH PERFECT EDGE - Professional Electrical Wire Tool Cut and Thread 6 Screw and Bolt Sizes with Ease, 4-40, 5-40, 6-32, 8-32, 10-32, 10-24. 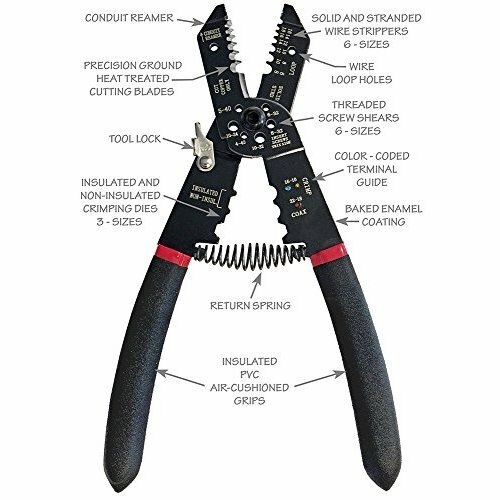 3 CRIMPING DIES - Crimps Insulated Terminals sizes 16-10 and Non-Insulated Terminals sizes 22-18 and also Crimps Coax Cable. INSULATED HANDY GRIP PVC HANDLES - Unique Built-in Air Cavity in Grips Provide Insulation and Comfort. 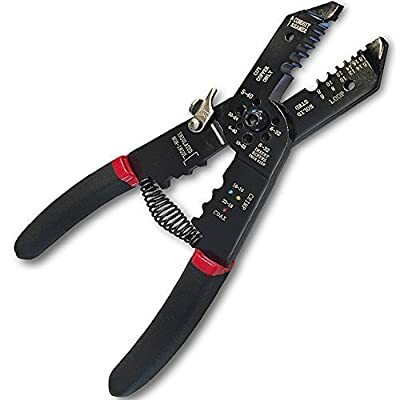 GREAT WIRE STRIPPING TOOL FOR HOME OR AUTOMOTIVE ELECTRICAL WORK - Work Great At Stripping Various Gauges Of Wire.